Hiya everyone! I am Rachel and this is my 3rd ff on here. One is Memories and the other is The Wedding. I also have a Christmas story on wattpad.com called My Child: My Story. Soooo..... this is a Christmas story, though I won't tell you who it is about. It is a one-shot. Before you read names, see if you can guess who it is. And before you read what the surprise is, see if you can figure it out. Disclaimer: I do not, nor ever will, own Harry Potter and it's lovely characters. It was Christmas morning and I had a huge surprise for him. I loved him and my surprise; I just hoped he thought the same thing. That surprise was wrapped and neatly placed under our small Christmas tree in an inconspicuous and yet visible spot. It was among our other presents, most for the rest of the family whom we were seeing later that day. But before we went over to Molly’s, we were opening our Christmas presents for each other. I had it all planned out. My big surprise for him would be the present he opened last—he only had one to open before that anyway. This was our fourth Christmas as a married couple, though we have spent Christmas together nearly every year since we were eleven. Many, if not all, had held surprises, but this one, I had a feeling, would be the biggest surprise yet. And I could not wait to see his reaction. When we woke up, we went downstairs to make, and eat, Christmas breakfast—french toast, bacon, and holiday scrambled eggs. When I was finished, I picked up my plate and a couple of other dishes to place in the sink so they could begin washing themselves. I came back to the kitchen table and placed a kiss on the top of my husband’s head and he pushed his chair out just enough so I could squeeze in and sit on his lap, so I sat on his legs and draped mine over the arm of the chair. “Merry Christmas, ‘Mione.” He lifted a hand and cupped my cheek and kissed me. “Merry Christmas, Ron,” I said when we pulled apart as I laid my head on his shoulder. “Let’s go open our presents,” I whispered, smiling. I swiveled out of his lap, grabbing his hand in the process, and led him to our tree. I grabbed his two presents while he grabbed the ones he was giving to me and we exchanged them. I discovered it to be a small velvet-covered box with a pair of earrings and a necklace inside. The earrings were pearl studs , each with a small aquamarine stone in between two sapphire stones surrounding the small pearl. The necklace was silver with a pendant drop made of four stones—two aquamarine and two sapphire—and a pearl. I took one look at them and gasped: They were beautiful. I grinned at him and then did as he said. Under the wrappings was a small, rectangular cardboard box. I was utterly confused and my face, I'm sure, showed it. I opened the box and gasped yet again. Inside were two tickets to go see Wicked—my all-time favorite musical—for Valentine’s Day weekend. “Thank you, Ron!” I squealed again as I got up and went over to hug him in his chair. “Like them?! More like love them! Now open your presents, smaller one first, please,” I grinned. He opened the small one. Inside the box were two tickets to go watch the Holyhead Harpies play the Chudley Cannons in March. Ron looked up at me, dumbfounded. I got up off the arm of the chair and went around it so I was standing behind him. I bent over him and slid my hands down to rest on his chest and placed my chin on his shoulder, staring at the box in his lap. He opened the box and pulled out what was on top: a onesie for a newborn reading ‘Daddy’s Favorite.’ I could tell he was confused, but he was getting there. “Go ahead, open the part that’s under the layer of tissue paper,” I whispered into his ear. He pulled off the tissue paper and kind of gasped. 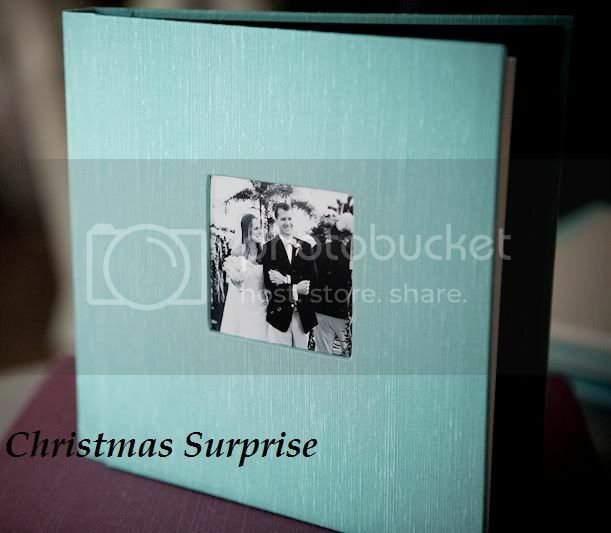 It was a photo album titled ‘Our First Baby.’ On the front was a picture of the two of us laughing at our wedding. “Open the album, Ron,” I said gently. He opened it to the first page where there was a picture of my stomach from the side. Its caption read, ‘Me: 6 weeks.’ A look of understanding spread across Ron’s face: he understood what the present was. “You’re . . . You’re pregnant?” Ron asked, turning his head to look at me. arm of the chair after he placed the presents on the floor. “Yes. I really am pregnant,” I whispered, smiling. He stared at me with a look of confusion, awe, and love. He rolled up my shirt to expose my stomach and placed his hand on my—not for long—flat stomach. His large hand was warm and soothing on my smooth stomach. I placed my hand on top of his and squeezed it. He paused and stared for a moment at our hands on my stomach and then he wrapped his other arm around my bare waist and drew me as close as he could. “That’s a part of us growing inside there?” He asked in amazement as he rubbed his thumb back and forth across my stomach. I nodded. “Yes, that’s our baby.” I said, looking down at my stomach, moving his hand to a spot between the top of my pajama pants and my belly button. Last edited by narnia_potter; 01-09-2014 at 03:06 AM. Hello and welcome back to Gringotts! Thank you for once again sharing your talent with us! You sure you want this to just be a one shot?! This is adorable Racheal! I luv the idea of her getting Wicked tixkets! Little Rose (Daddy's Little Girl). So cute! I'm guessing this is a one-shot. Well fantastic! This is amazing Rachel!! I love Ron/Hermione great one-shot! I loved this so much. Merry Christmas. So cute! Thank you all so much for the lovely comments! And Happy New Year to you all! Yes this is a one-shot... and it is staying that way. Sam: Thank you! I thought they deserved to be one of my fics. LilyLunaGinnyPotter: Thank you! Glad you liked it! LoonyLupin: Thanks! Good job guessing! I wondered if people could guess correctly. Yes, I gave Hermione presents I would love (even down to the type of stones). Yeah, I LOVE Wicked, I got tix for Christmas and am going here in Denver in April. Awesome! Yeah, I love her gift to him... it's just so cute! It was among our other presents, most for the rest of the family whom we were seeing later that day. But before we went over to Molly’s, we were opening our Christmas presents for each other. so I figured it was Hermione since Ginny wouldn't be calling her mom, Molly. It was a sweet ff and I love the style you wrote it in. Super job Rachel; keep up the good work. That's really beautiful. You write so well! And I'm not kidding.